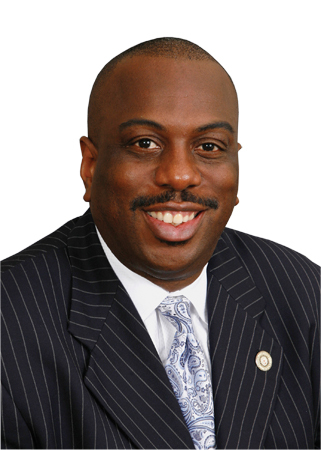 Old news, but Senator Malcolm Graham (D-Charlotte) has filed a statement of candidacy for the 12th congressional district. Mel Watt has been appointed to head Fannie Mae & Freddie Mac, but will not resign until he is confirmed. If a special election is held, Graham would start out as the frontrunner. Anthony Foxx is moving to a Cabinet post, leaving Graham as the most formidable candidate from Charlotte. Mecklenburg County constitutes a majority of the district, making it difficult for other candidates to prevail. The 12th is of course a solidly Democratic seat. Obama received almost 80% of the vote here. Whoever wins the primary is going to win the general. The State Board of Elections has also stated that there will be no runoff election in the special election held for Watt’s seat. The best hope for a non-Charlotte candidate is that several candidates will run from that area, splitting the vote. A candidate from say, Greensboro, can scrape by with 30% of the vote. However, the special election is at this point a hypothetical scenario. Watt is saying that he’s not going to resign his seat until he is confirmed by the Senate. It’s a wise move. While Richard Burr issued a statement of support for the nomination, other Republicans are wary of Watt’s background and record. Bob Corker (R-TN) said that he “could not be more disappointed” in the nomination and added that the nomination gave new meaning to the phrase “the fox is guarding the henhouse.” Even some on the left have expressed concern with Watt’s close ties to Charlotte’s banks. Brian Gardner, senior vice president for a Washington research firm, stated that the odds of Watt’s being confirmed is “less than 50-50“. If Watt’s nomination fails, then Graham might have to run for Congress at a later date. A run for the 12th by Graham will also preclude a run for the Charlotte mayoral office. If Watt’s nomination fails, it’s possible Graham will have missed out on two opportunities to move up the political ladder.